This is a very sharp and safe blade to to use. I have used it reverse as well and it leaves a very clean cut. Get ready to toss all your other blades!! Nothing cuts like the ags blades! The 7 is very smooth and cuts great! When I tried out the 7 from AGS, I immediately gave my other Andis 7’s away. I was blown away by how it cut. I never looked back. AGS blades are now my new favorite. They glide through the coat like butter and are decently priced. The 7 leaves a nice smooth finish on those shave down dogs. 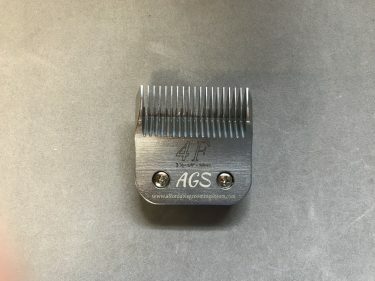 These blades give a smoother finish than any other I have used. The best! Cuts like butter!! Hold up well! Very impressed with these blades. Safe, sharp, and stays cool for a long time. I love how the edges of the blade helps to feed the hair into it. Also I have dropped my #7 before and not a single scratch or chip! When normally dropping a blade means it’s a goner. These blades are amazing. 20+ years and have lots of blades. These are my favorite! They feed through the hair nice. They stay sharp. Very good quality blades. I have the set and I highly recommend them. I have use this blade to get through some of those matted doodles and it’s still holding up. Stays cool, cuts through coat like butter, even after a couple floor hits. Highly recommended through mat season! A must have for the summer hair cuts. The best blades I have ever used. They cut through mats with ease and leave a nice finish. Great blade! I’ve dropped it a few times and none of the teeth have broken, still sharp and gets the job done! 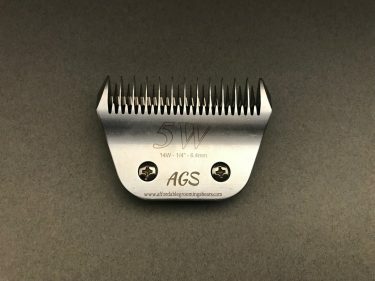 These blades Outlast any of my other brands and run smooth and cool. Hands down my favorite and I’ll need more soon! 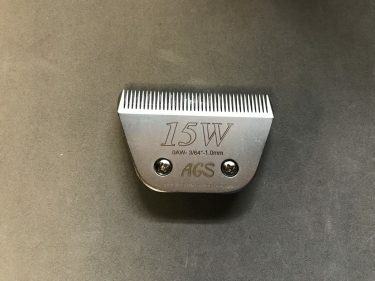 This is an excellent choice for short summer trims. The cut is beautiful and there are no lines. I have used it under combs, but prefer the #10. Excellent blades, sharp and long lasting!! I was an Andis only girl for 13 years until I found the light and tried an AGS blade about 4 months ago. I sold off all my Andis blades and have started a nice collection of AGS ones. I groom A LOT of cats, like 6 or 7 a day. I feel so comfortable and safe using the AGS 7 reverse on the cats I see. They run quiet, smooth and cool even after you’ve dropped them on the floor. 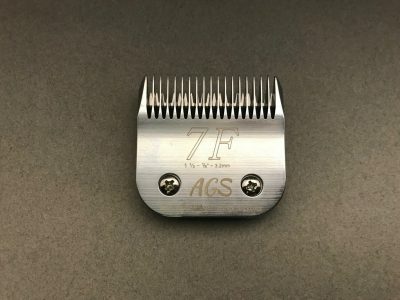 AGS blades are the best on the market. This blade is beyond perfect for pelted/matted doodle type coats. 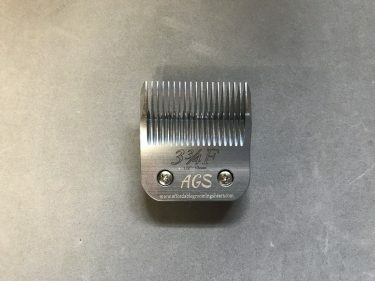 AGS is better than any other brand out there! !